Rest in peace my brother. May you serve on God's force now. Thank you Detective Brewer for your service and for paying the ultimate sacrifice for the fine folks in the great state of Ohio. You are a true AMERICAN HERO !!! My thoughts and prayers are with your family, friends and co-workers. May you forever, rest in peace, my brother. 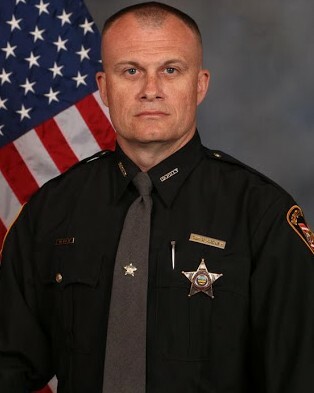 The National Police Wives Association would like to extend their heartfelt prayers to the family of Detective Brewer and the Clermont County Sheriff's Office during this time. Thank you, Detective Brewer, for your service. I have lifted your family to God every morning for over seven years. I pray that Bill's life and death will bring glory to God. I would just like to say thank you for your service and sacrifice for the citizens of Clermont County. And to your Family and loved ones, I wish to extend my deepest sympathy. Prayers to the Family and Depts involved. Never Forgotten! I would like to extend my deepest condolences to the family, friends and fellow Deputies of Detective Brewer. Thank you for your service to our Clermont County Community. RIP Sir! You will not be forgotten. The men & women of the Abilene Police Department extend their condolences to the family, friends, and coworkers of Detective William Brewer. Our prayers of peace and comfort will continue to be over those who loved and served with Detective Brewer. May God Bless your family, friends and coworkers in their time of need. Gods Speed Detective. Rest in peace Detective William Brewer. Detective Brewer, What a tragic end to your 20 year career in your LODD. My heart just breaks when we lose one of our own. Thank you so much for your service to the citizens of Ohio. May GOD bless you and your family (Blood & Blue) abundantly. You will missed but not forgotten. Rest In Peace Brother!!! Rest in Peace Detective Brewer. May the Lord grant your family, friends and co-workers peace during this difficult time. Thank you for your service and sacrifice. On behalf of Moms Back the Blue of the St. Louis County Police Family Association, we offer our heartfelt condolences to the family (blood and blue) and friends of Detective Brewer.